I love this podcast! It is so well written and engaging. It’s fun to try to figure out who everyone is, and I learn so much about people. It’s worth a listen! One of my favorite podcasts! Look forward to it all week, sad you won’t be back on till August. It’s a great premise but it’s too long, especially since it’s mostly made up or embellished tales. 1/2 hr would do. Also I find the narrator’s breathy voice annoying. Makes everyone sound alike and a bit pollyannaish. They should change up narrators. I have been entertained and often surprised by every episode. The stories are so well written and interesting. I am going to be at a loss as to how be patient for the next season in August. Great job! Enjoy listening and trying to guess who they are presenting each week. August seems so far away. I absolutely love this series! Makes my Monday mornings that much brighter:-) the narrators’ voices are so calming and the stories are captivating and inspiring. Putting yourself in someone else’s shoes is a great thing to practice and it puts my own obstacles in perspective. I really love this podcast and can’t wait until season 2! Ms.Virginia was so good She almost got me to cry & I am even a country fan. Love this podcast. I like the podcast. I prefer the male story teller’s voice. But the stories are interesting and fun. I am relatively new to Podcasts, but over the last six months have subscribed to and religiously listened to an incredibly wide range. Imagined Life is a very well done example of just how good audio drama can be. Kudos to the writers and the performer who bring the stories of real people to life. I find them entertaining and sometimes surprisingly informative. I look forward to this every Sunday like some people look forward to their favorite TV show. This podcast is truly entertaining and captures the art of storytelling at its finest. Very entertaining. Fun to play along & learn about some very well known figures. I listen to so many podcasts. Many to pass time on the road. I make sure I can pay attention to this one. I love guessing who the story is about. I time myself to see how quickly I can get the right answer. I absolutely love this podcast. They narrate the stories so vividly I feel completely apart of the story. At the end, when they reveal the name of the person, I have been a little emotional on more than one occasion! 10/10! I've been listening since the beginning and am completely hooked! It's always a pleasure to get to the big reveal. I have learned a lot about people I am a fan of, people I admire, and also people I don't admire. I freely admit that some of these stories have brought me to tears, the stories are just that beautifully told. What a great podcast! I cry at the end of almost every single episode. This podcast is so amazing!! Every morning I take a walk listening to this podcast. It makes my day start off in a positive and possible way! The stories and reveals are superb and leave me wanting more. It is a discipline not simply jumping to the next episode or listening again. Thank you for creating g this wonderful podcast and keep up the great work! This is such an innovative show. The guessing game aspect adds a unique dimension. I enjoy repeating the ones I didn’t guess to see what clues I missed. The stories shed new light on the characters and backgrounds of the subjects, often making them more sympathetic. It’s grownup story time. I love it! By empty nesting and lovin it. After a few episodes it becomes boring and repetitive. So clever! What a great idea. Amazing voice actors, great sound, fantastic stories! Something new and just WONDERful! I couldn’t have guessed it! What a moving episode. I felt each scene in my body. Listen if you haven’t! This podcast is relatable and inspirational. Getting me through the workday consistently. This has been the best guessing game. These episodes have been great ways to hear people’s lives. I have been blown away by all the episodes, even the ones that I could guess right away. Love it! I thoroughly enjoy, appreciate the research, and wish this was more often than once a week! Thank you to all involved with this podcast. I like figuring out who the person is as soon as I can. You’ve stumped me twice so far! Good work...great work! Keep the shows coming because they’re so fun for me and I’m sure many others too! I’ve learned a lot about the people you’ve imagined life for me! Thank you! Interesting but would be nice to hear a greater diversity of persons interviewed. Listened to all episodes. Can’t wait for more! Love this podcast. Love trying to figure out who it is while learning about their lives. Today’s was my favorite so far. Never knew about her early life. I always look forward to the next episode. Ever since I found this podcast a few weeks ago I can’t stop listening! I’m going to be so upset when I’m caught up and have to wait for a new one every week!! Great job! I LOVE this! Please make it more relevant for my age group!! I was hooked from the start, the storytelling is amazing! This podcast has so much going for it except one thing. The people you are telling about are not relevant to me. I enjoyed The Bride the most...the story hit home for me and I’ve listened to it many times and still love it. I was intrigued by the Lucy story also, but I must say *this* avid listener has quit listening because I just don’t care about the subjects of the podcasts. I would FREAK out if you could do some on people who are relevant to my age group (mid30s). This podcast used to be the best part of each Monday morning for me, but now I rarely listen. I miss it! I miss feeling pulled into the story! I want to be EXCITED or shocked when the mystery person is finally revealed and since the Grinch episode the big reveals at the end are people who don’t excite me. Please please do someone more relevant! Ooh this one got me. Pulled at all my heartstrings. Great job! Omg! The stories just pull you in!! 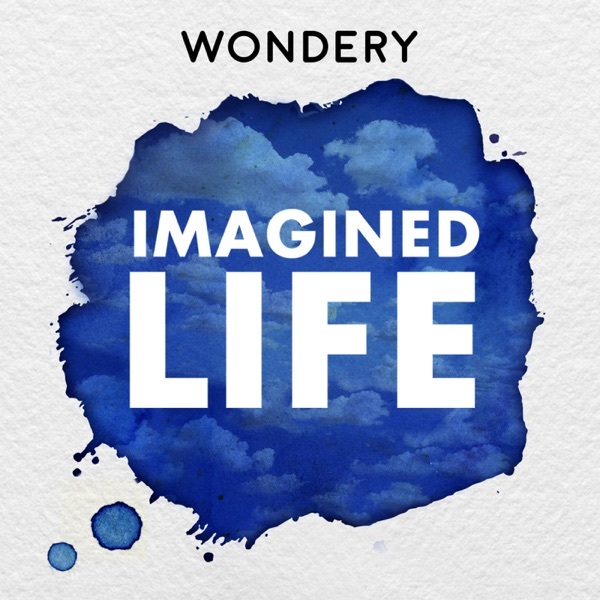 This has been my favorite podcast since the first episode dropped, but I do find myself aggravated that wondery/imagined life is promising a new episode the following sunday and then just not following through. I do understand that things come up but I find it unprofessional to promise an episode less than 3 days before and then producing nothing, nor an explanation on social media. My wife doesn’t even like podcasts but this is what she always asks me to turn on in the car . I am a serious podcaster, and music buff, and this series simply has blown me away. Whether it’s walks on the beach, some traffic time, or when I just need a break from it all, I can Always depend on this series. Do yourself a favor, and the people around you a favor, and make this one of your favorites as well. I’m not sure why I chose to listen to ‘The Bride’ first, but I’m in the gym, mouth wide open, holding back tears. Yes, IN THE GYM. I was hooked from the drive here and simply could not turn this off. I always listen to music while working out, and this held my attention the entire time. I’m shook. I’m hooked. This podcast is refreshing. I wasn’t sure what to expect at first. It’s a brilliant way to tell the story of important people who have made a mark on the world in some way. The stories are just long enough to get you hooked. Please keep up this podcast. It’s great.